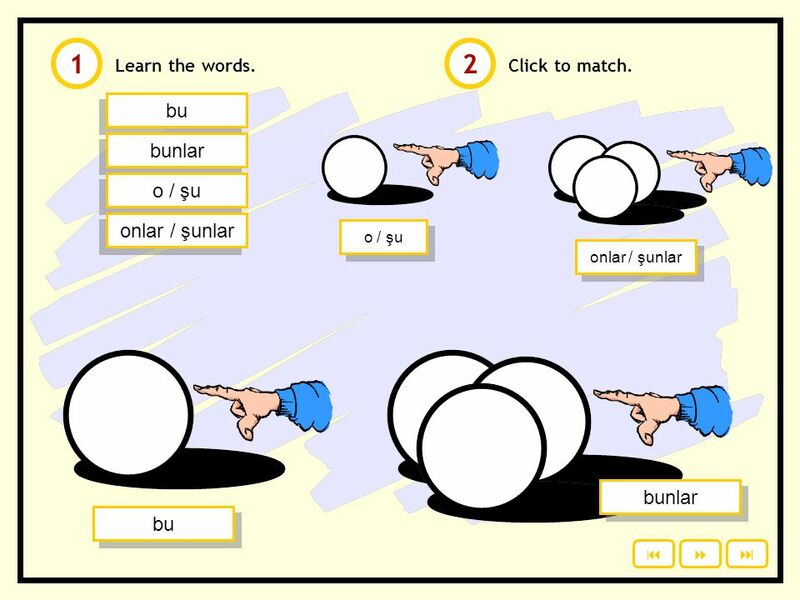 2 1 2 bu bunlar o / şu onlar / şunlar bunlar bu Learn the words. 5 7 Study with a partner. Ask and answer about the objects. Bu ne? 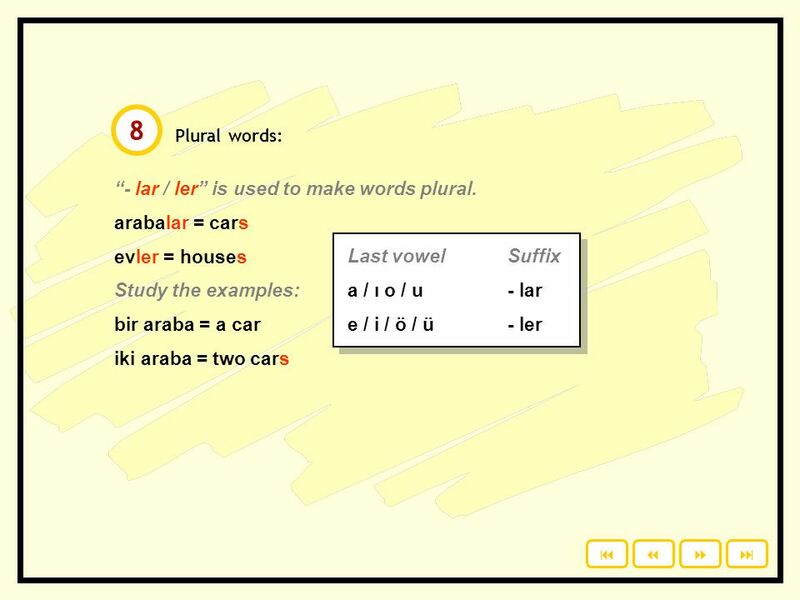 8 9 10 Plural words. Write the answers on a piece of paper. 9 11 12 Basic adjectives. Learn and match the opposite adjectives. 10 13 Study with a partner. Point at things. Ask and answer. Bu ne? 11 14 “mı / mi / mu / mü” is the question word in Turkish. 13 15 16 Questions. Write the answers on a piece of paper. 14 17 18  Öğrenci için sınıf içi aktivite Which sentence is true? 15 17 18       Which sentence is true? Click to check your answers. 16 Hayır, değil. O bir sandalye. ULUSLARARASI BAKALORYA D İ PLOMA PROGRAMI TED ANKARA KOLEJ İ ÖZEL L İ SES İ 2012.